How to Appreciate Art When You Visit an Indian Art Gallery? Undoubtedly, there are two kinds of visitors in an Indian Art Gallery. The one who see art and the one who actually see it. Ok! Let me make it clear if in case you didn’t get it. Some art enthusiasts don’t have much knowledge of art and thus they choose to just look at the paintings rather than glancing at them carefully. Well, we are telling this to you as such art enthusiasts aren’t considered well in the art community. So, if you are also one of them, you need to read this blog. Herein, we tell you the art of appreciating art. So, if you want to get the entry in the art community, this is the right way to improve your skills. Talk about the artist- This can be a Kickstarter to the conversation. 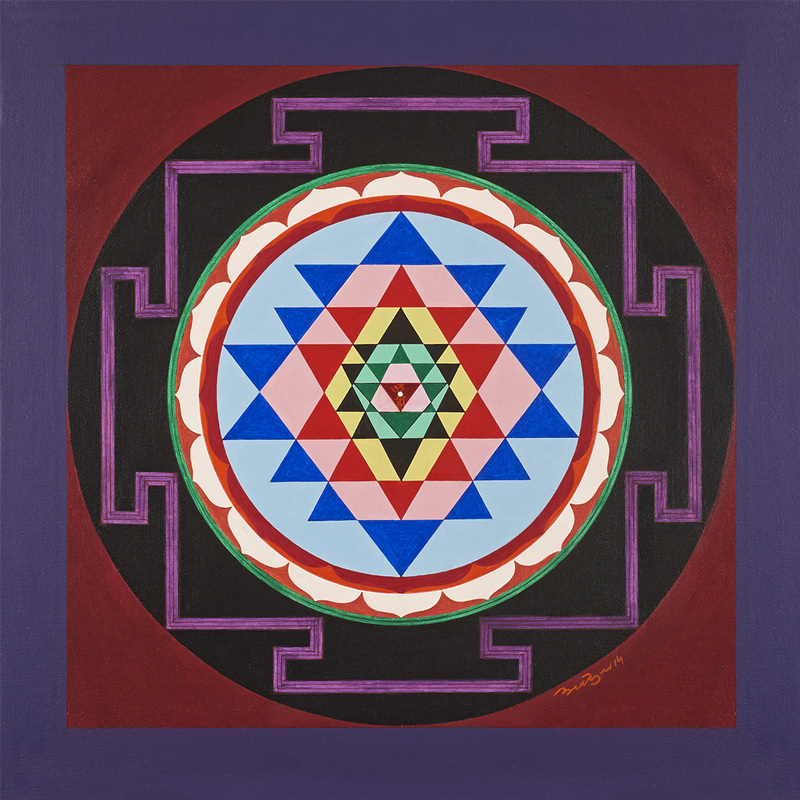 You should start asking about the artist while in an Indian Art Gallery. However, you should remember not to ask about every artwork’s artist. Ask about a few, those whose artworks actually intrigued you. This in general is a very good practice. This helps in knowing the style of the artists which helps you in further identifying his artworks whenever you come across any. Learn about the art styles and mediums- You might find it very tough to identify the artist after seeing the paintings but knowing the art styles won’ be that tough. 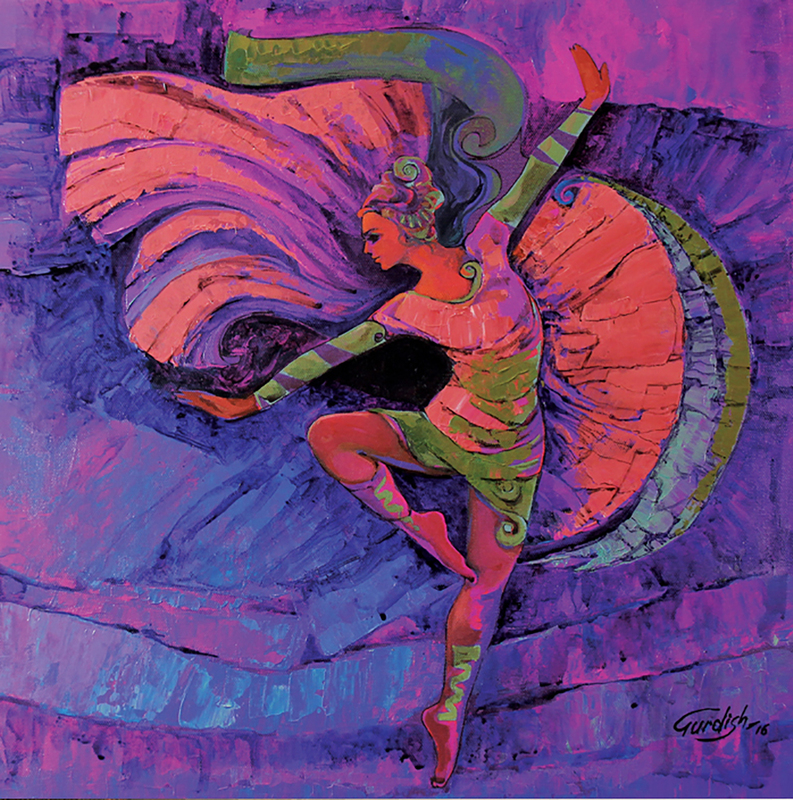 So, begin by knowing the most prevalent art styles and Indian art styles if you are going to a top Indian art gallery. Try to understand the work- It is also important to understand the work. Yes, initially you will find it hard to understand what some artworks are trying to convey you but with time you will learn this. You won’t face any problem with every art style, you definitely will with abstract art style. Every person finds different meaning from some paintings. Try to read between the shapes drawn, take your thinking beyond that. Try to infer the meaning, if you still cannot, you can always ask the same to the gallerist. Look for the emotion- Every painting whether it is landscape, portrait or any other involves certain emotion. A landscape or abstract art might make you feel gloomy and the other very happy. You will never catch the emotion, if you will not look at the art work carefully with a hawk’s eye. See what you find interesting- In order to talk about a painting, the best way is this. You just look at the painting and whatever you find unique or beautiful in it, start taking about it. In short, find ways to appreciate art. For doing so, one of the most important thing is to know art. We say so as you can talk about something, only when you know it. Lord Krishna is the only deity that is loved so much so by not just elders but children as well. He is known for the charm he had. He had the capacity to charm anyone and everyone that came in his contact. The stories of his love and valor are known to all. In fact, every role that he played during various life stages is shown through paintings. Moreover, the praying room of every Hindu household is incomplete without an idol of Lord Krishna. There are a set of things that one should follow if he has Lord Krishna paintings and idols in his house or workspace. Let us take a look at what are they. 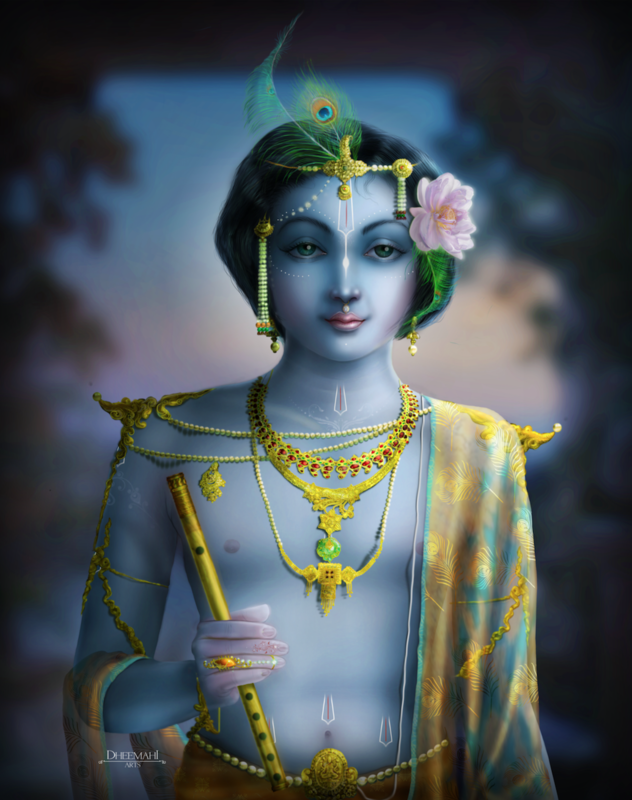 Flute- Lord Krishna is known for the melodious tune that he used to play with his flute. 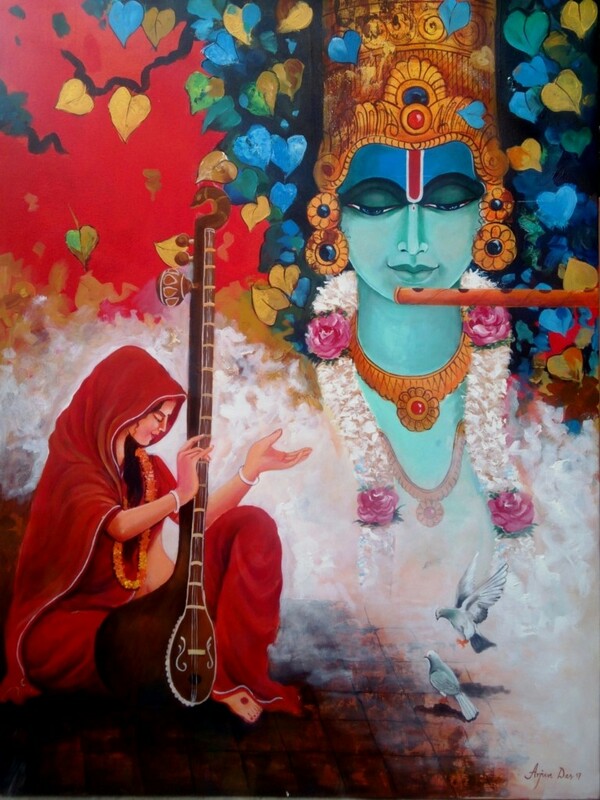 Many lord Krishna paintings and idols have the flute in them but if the painting or idol doesn’t have one, buy a flute and keep it beside him. All the gopis and even the animals used to surround him to hear the tune and this it is said that keeping one in your home can help you in keeping people together. Cow and calf statue- He used to play with the Gwalas. Moreover, this is no hidden fact that Krishna used to love eating all the dairy products like milk, butter, cottage cheese. All of them are made from milk which is produced by cows. So, keeping the statue of these as well is also a good way to keep the deity happy. Apart from this, it is also believed that cows are an embodiment of 33 crore deities. Peacock Feather- The peacock feather is widely known for the beauty it holds. Krishna was known for the magnificence that his personality had and for wearing the peacock feather on his head. Hence, keeping few peacock feathers beside the idol of Krishna would be really good in surging the happiness by keeping the lord ecstatic. Lotus- Lotus might not have some direct connection with the lord but keeping this flower in your house’s worshipping room will bring a lot of stability and harmony. A lotus shows the struggles of life, you can replace the flower daily if some nearby vendor sells it. If not, you can use petals of the flower each day by storing them in a refrigerator and keeping them fresh. Misri and Makhan- After praying, Prasad is being given to the family members in most of the Hindu households. So, keep some misri (Crystalized sugar cubes) and butter in an airtight container. We are asking you to do so as Lord Krishna used to love eating this. Offering this to him daily can delight him beyond words. Vaijayanti Mala- If you will observe Lord Krishna paintings, you will see that a few of them will have vaijayanti mala around his neck or hand. So, if the idols you have of him doesn’t have this mala around his neck or hand, buy one. When you go to buy one such mala, try to find a mala that has the name Krishna engraved on it. Besides, all the aforementioned points, in order to keep the deity happy, you should also keep the idols and paintings that you have of him, pristine clean. There are a different set of instructions for cleaning different types of lord Krishna paintings and idols. We shall discuss the same in some other blog. So, let’s save it for some other time and know that the idols should be offered tulsi leaves at the time of praying. It is also important to feed and bathe the deity daily, especially, if the idol shows him in his childhood phase. Also, don’t forget to get some clothes tailored for him if the deity you have bought is in metal form. Moreover, to clean the metal based idols, you should dip some cotton in lemon juice and dry mango powder. Pray daily, do good deeds and see your life changing! You are currently browsing the Indian Art Blogs blog archives for April, 2018.